Commercial Buildings was a short row of buildings on the north side of Lower Middle Street slightly west of today’s William Dampier building and opposite the old Liberal Hall. It was built as shop premises with living accommodation over in the 1870's and appears, and is named, on the 1886 Ordnance Survey. The building, with many others, was demolished in the late 1960's as part of the Glover's Walk redevelopment. 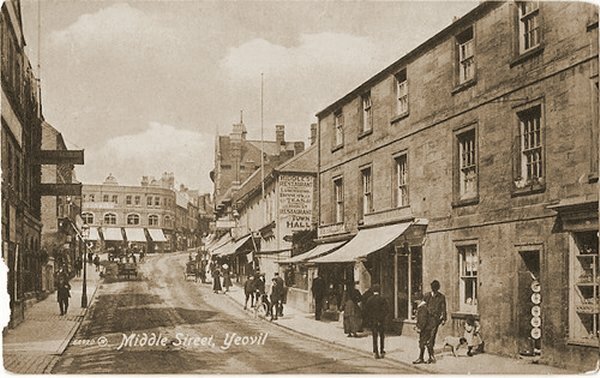 A postcard of around 1912 of Lower Middle Street looking towards the Triangle with the new Co-operative Society building built in 1910. The building at right was Commercial Buildings. All the buildings at right were demolished for the Glovers Walk shopping precinct project of the 1960s. 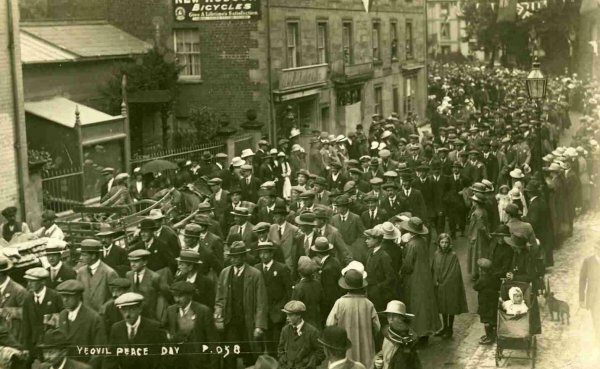 The Yeovil Peace Day Procession makes its way through Middle Street on 19 July 1919. At centre are Commercial Buildings and off-camera to the right the procession passes the Liberal Club. 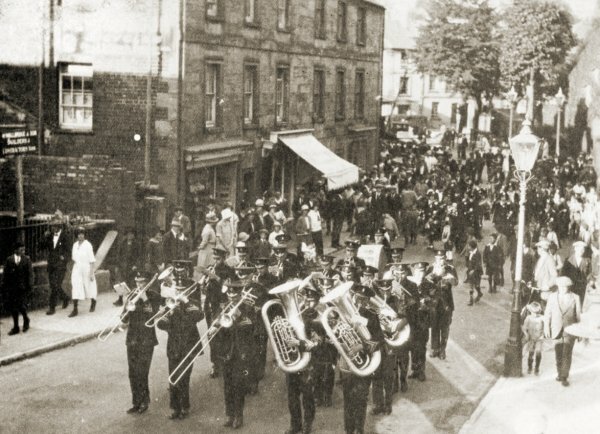 The Yeovil Town Band marches along Lower Middle Street during the 1920s. 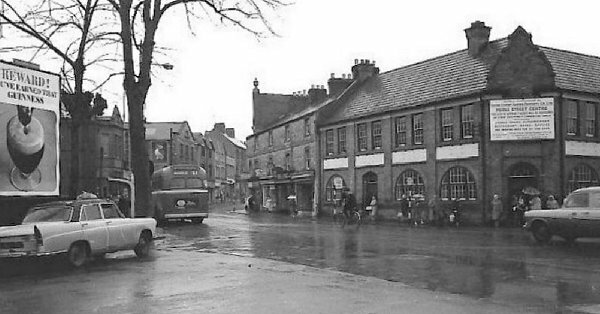 This photograph dates to the mid-1960's and shows Lower Middle Street with Commercial Buildings at centre next to the Railway Tavern at right. At far right is Central Road and the photograph was taken from Station Road (now called South Western Terrace). 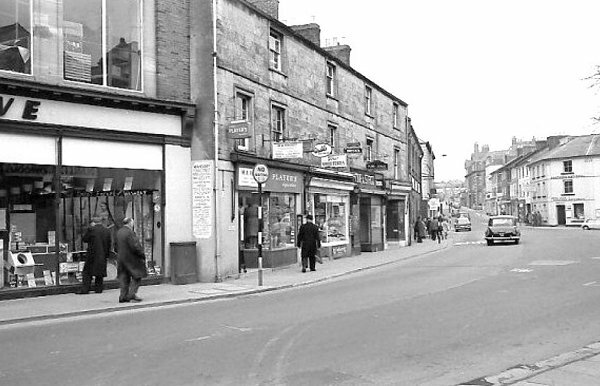 This photograph again dates to the mid-1960's but here Commercial Buildings are seen from further along Lower Middle Street before pedestrianisation. At right is the old Fernleigh Hotel, most recently an Indian restaurant.